I bought my first set of Big Hair products at Curlvoltion 2014. It’s did wonders for my hair . I usually stocked up at the hair show, but it hasn’t been held in a few years now. In that time Boucleme came on the scene. I reviewed their range for brownbeauty It was perfect for my curl type. 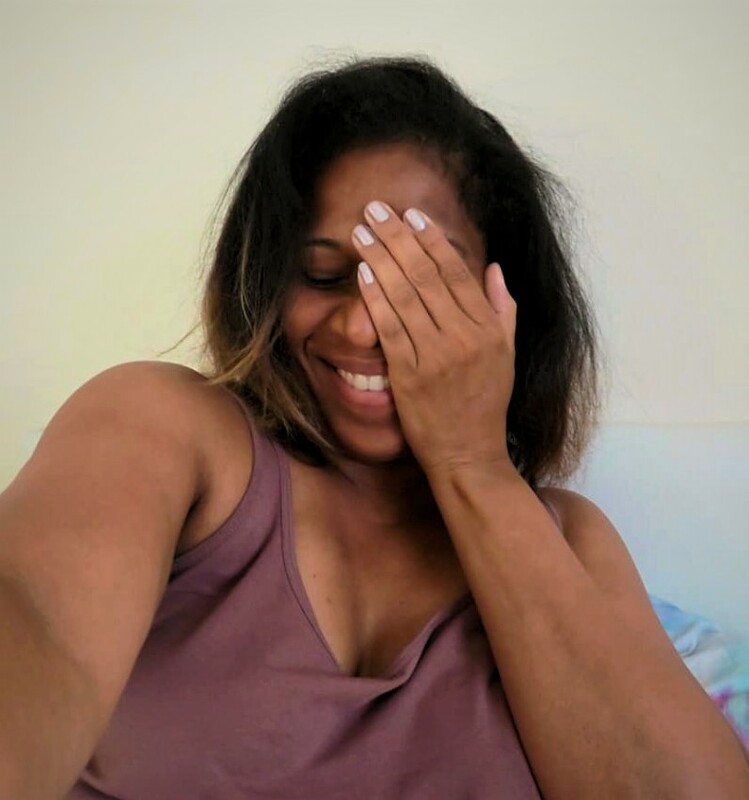 Then last year, I reviewed DryBy Salon for Blackhair who did a washngo using Boucleme’s Intensive Moisture Treatment My curls were pinging then. 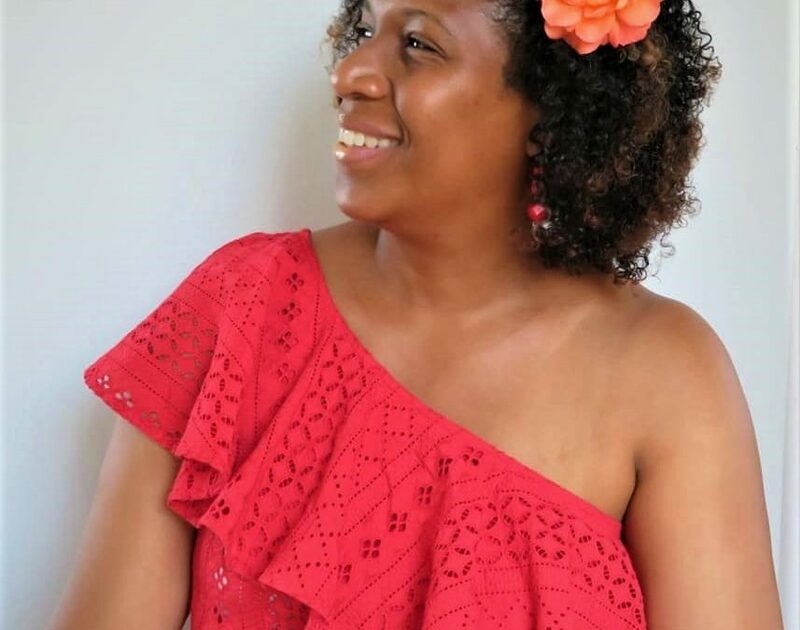 So, when I recently had my hair blow dried and straightened at Duck &Dry hair bar, which looked stunning if I do say so myself, I turned to two tried and true brands to get my curls back. 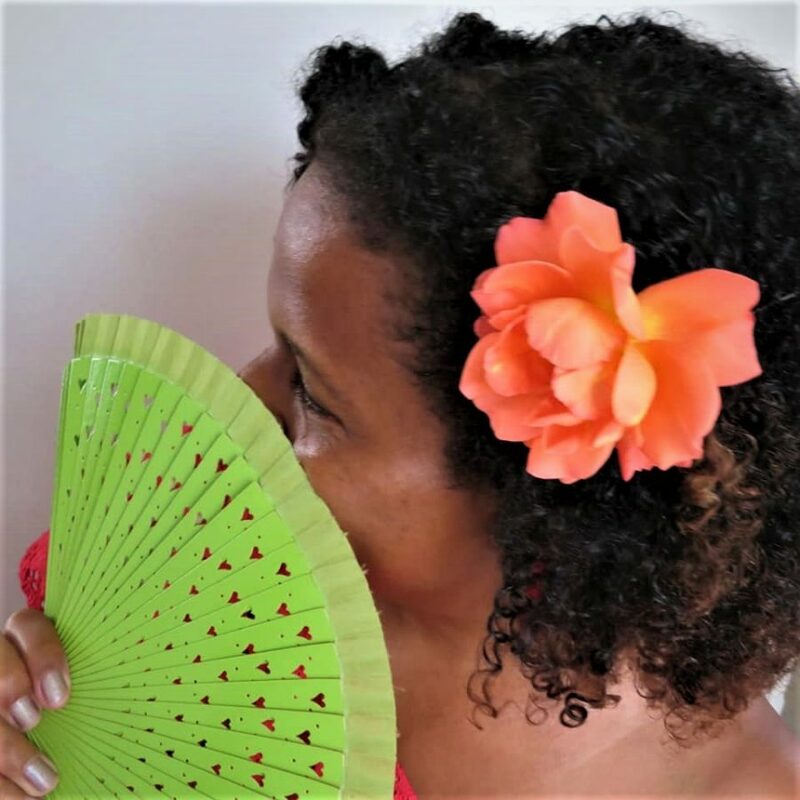 It was hard maintain my straight hair in the heatwave without the right tools at home. On hair wash day I got my curls back with Big Hair and Boucleme. Funny Story: I’ve been subscribed to Big Hair’s newsletter years but I’d not heard from them brand for a while. Then, one day I received a letter from a brand named Big Hair. The packaging was different. I thought it was a bogus brand, so, I ignored the messages! Untill I ran into Melissa, brand founder, at a brownbeautytalk event a few weeks ago. 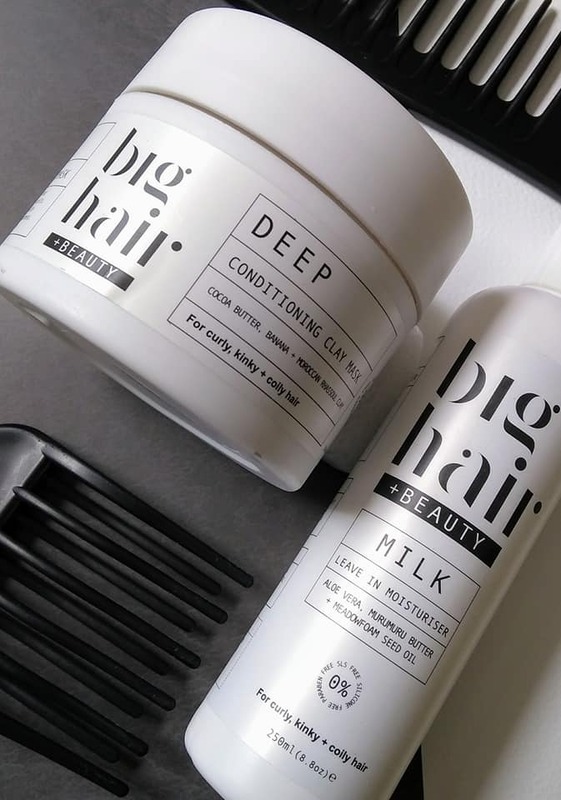 I currently have Big Hair’s MILK Leave In Moisturiser and the deep conditioning Hair Treatment. They both work really well for me and I have no doubt they will for other natural curlies too. Good mixtress that I am, to get my curls back I used a cocktail of products which included Big Hair’s Leave-In Milk and Boucleme’s Intensive Moisture Treatment. The MILK Leave In Moisturiser was applied to my hair before our family afternoon at the pool as a protective measure. The milk is has a light runny consistency. It’s great on its own our can used at part of your L.O.C (liquid, oil, cream) regime. I saturated my hair with it, then braided plaited my hair into two cornrows. When I returned home, I used one of my usual shampoos and followed up with Boucleme Intensive Moisture Treatment. The treatment is rich and creamy but has a lot of slip, which made detangling at that stage very easy. I was left it in for 30 mins, for a deep treatment I used a HairTherapyWrap. After rinsing out the treatment, I reapplied MILK Leave In Moisturiser. Then I followed up with a heat protection oil dried my hair via diffuser. The products worked well alongside each other. Both brands are organic and don’t contain paraben, SLS or silicones. My curls returned immediately with their usual spring and shine. 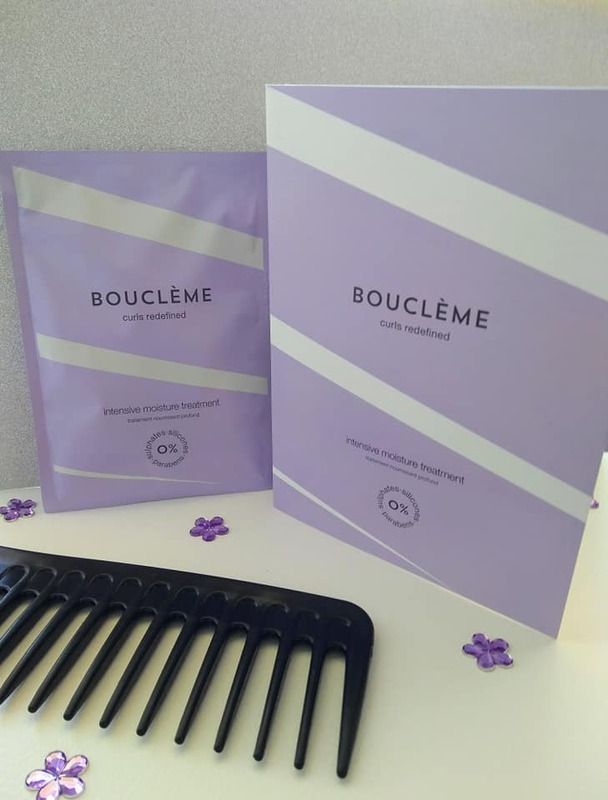 You can order Boucleme products from their website. They currently have a nifty travel key which makes a suitcase essential if you are going off on a beach or poolside holiday. It comprises of 2x50ml Intensive Moisture Treatment sachets in a wallet which makes it very travel friendly. TIP: The treatment can also be used as a leave-in conditioner. Big Hair you can also purchase online use my code MSXPAT15 for 15% off your order.